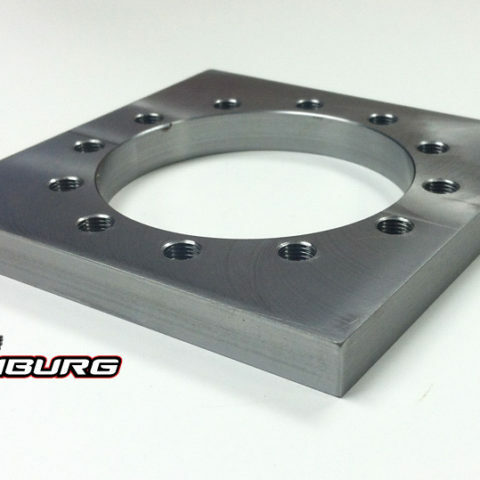 Looking to build your own spindles using a bolt-on hub snout? 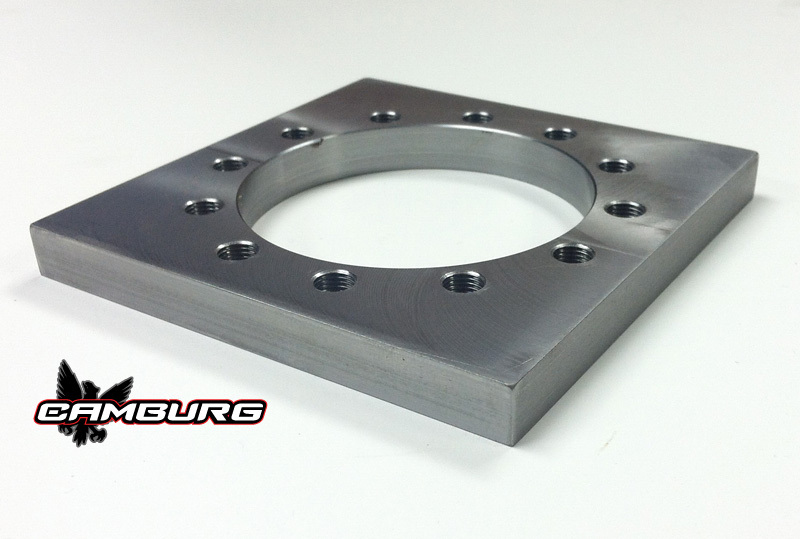 Our snout block is CNC machined in-house from aircraft quality 4130 chromoly that’s 1/2″ thick. 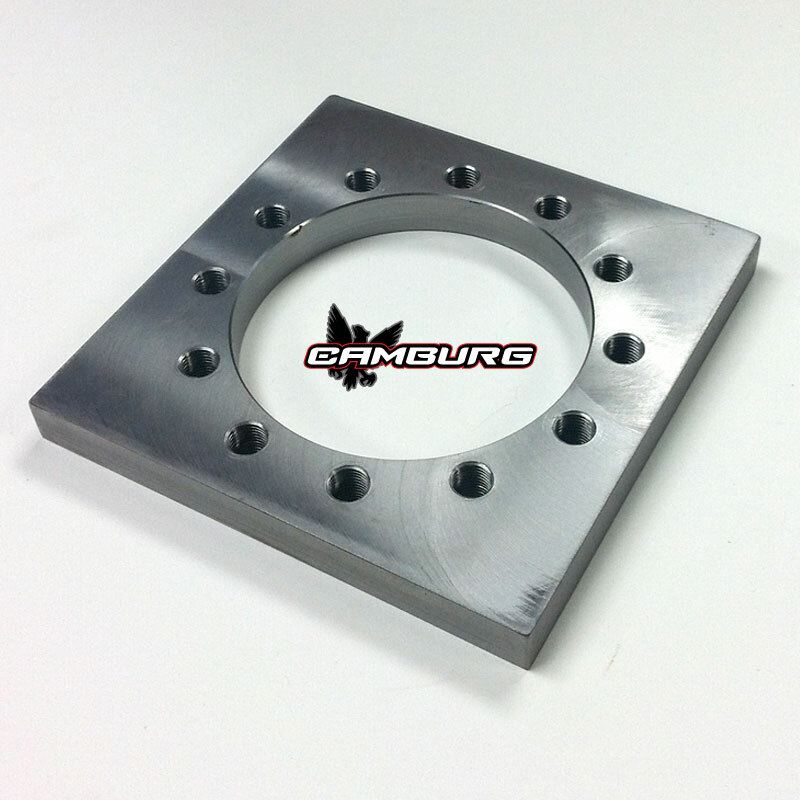 It’s 5″ x 5″ and uses the industry standard Dana 44 bolt pattern that we have doubled up (12 on 4″ w/ 3.375″ ID bore). The bolt holes are 3/8-24 and we recommend using mil-spec/NAS MS21250 series 12pt bolts to attach the snout with.